The life of a titleholder cannot be condensed into one word, so here are multiple words, 829 to be exact, to give you a glimpse into my life as Miss HollyDazzle 2018. My name is Joelle Sunstrom, and as you guessed it, I am Miss HollyDazzle 2018. I have been involved with the Miss America organization for three years, and every year just gets better and better! Over the last three years being involved with this organization, I have earned over $4,000 in scholarship money! Fun fact, The Miss America organization is the largest scholarship provider to women in the U.S.! I have used these funds to pursue my education at UND! I am a sophomore at UND pursuing Nursing and plan to go to graduate school to become a Nurse Practitioner. I currently work for Sanford as a Home Health Aide, and I am loving every minute of it. I can truly say there are no two jobs like working in the medical field and being a local titleholder. Both jobs involve a tremendous amount of passion. You cannot be a nurse without passion, and you certainly cannot be a local title holder without passion. One thing people might not realize about local title holders is our boundless passion and dedication to serving our communities. Each local titleholder gets to choose a platform that they are passionate about and promote it through their year of service. 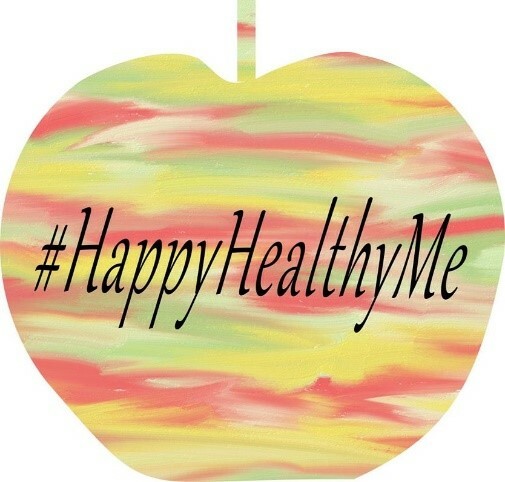 My platform is called “Happy Healthy Me”. I work to promote a healthy lifestyle and focus on the positive attributes of living a healthy life. Through pursuing my Nursing degree, I have come to realize just how amazing and intricate our bodies are and how pertinent it is that we take care of them! More Than Just Community Service! I have had so many amazing opportunities to promote my platform over the last three years. My heart is just overflowing with joy thinking about it! One of my favorite opportunities I have had is speaking to various schools. I have spoken to over 400 hundred students! Through my school presentations, I have come to realize how impactful this job has been on my life. One of the most memorable days as Miss HollyDazzle 2018, is when I had the privilege of touring the Sanford Children’s Miracle Network hospital in Fargo, ND. As a future nurse, it was truly incredible to see all the amazing resources that the hospital offers. An indescribable feeling settled over me as I walked up and down the halls, seeing first hand where the money goes that us titleholders work to raise for the hospital, which is ultimately for the kids. The Children’s Miracle Network is the Miss America organization’s national platform. It gives me goosebumps to know that there are local titleholders all over the nation just like me seeing the indescribable impact the Children’s hospital can have on so many lives. Another huge part of my year as Miss HollyDazzle 2018, is preparing for my dream job of Miss North Dakota 2018! Not only is this extremely exciting, but there is a lot of hard work that must go into preparing for the job. My weeks are packed full of speaking engagements, volunteering, mock interviews, talent practice, modeling practice, and the list goes on and on. My two favorite areas of competition to work on is interview and talent! They both have required me to push myself, and consequently, I have become a confident, well-spoken woman. When I first got involved with the Miss America organization, I was a shy, timid young woman, and I certainly did NOT look forward to speaking in front of people. I can now say, that I have completely evolved! I now love speaking and presenting my platform. I can truly say because of the Miss America organization, I have grown to know and love myself on a much deeper level. I perform original piano compositions for my talent. The first time I performed my original pieces on stage, was three years ago on the stage of a local pageant. I was so scared to perform that my hands were shaking. That was the first time I performed my original pieces for a crowd, and the first time I thought of myself as an actual composer! I cannot wait to share my original music on the Miss North Dakota stage this June! I am so excited to see what the future has in store for me over the next couple of months! I am so proud to have the privilege of representing the Grand Forks community on the Miss North Dakota 2018 stage this June! As these next couple of months fly by, I am going to sit back, relax, and enjoy every single moment of my year as your Miss HollyDazzle 2018!